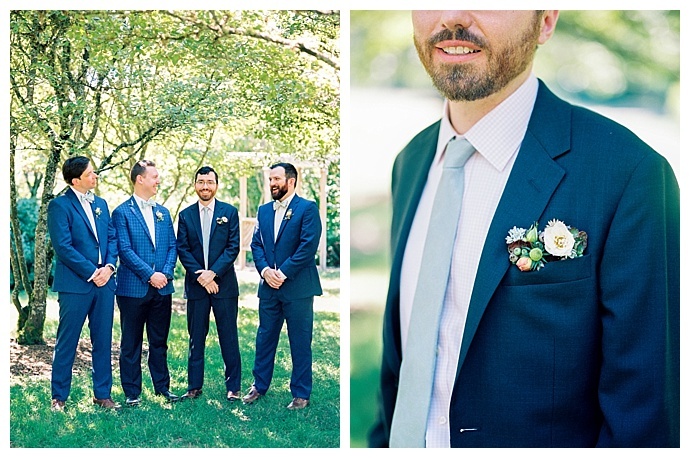 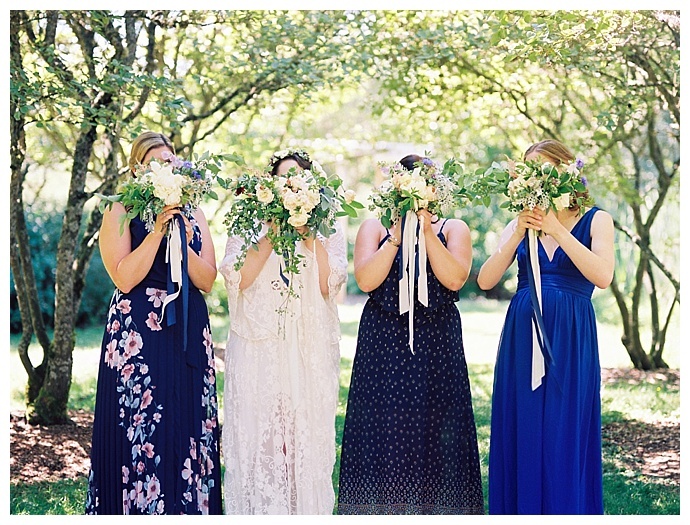 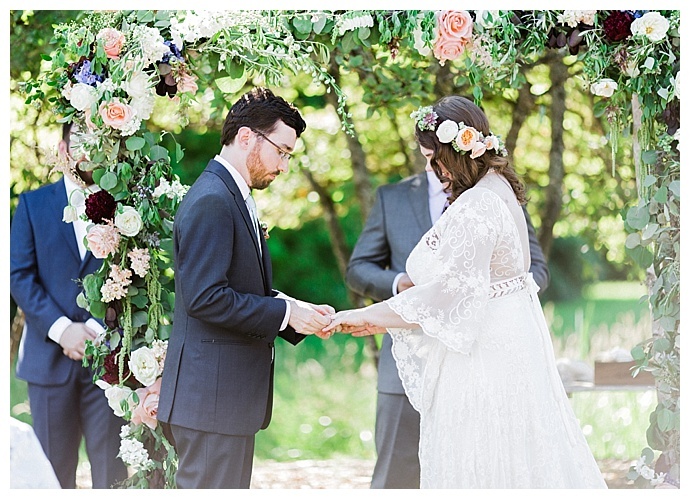 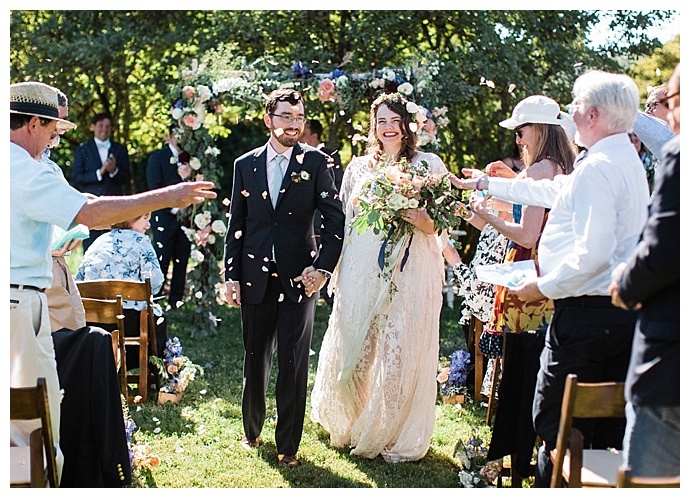 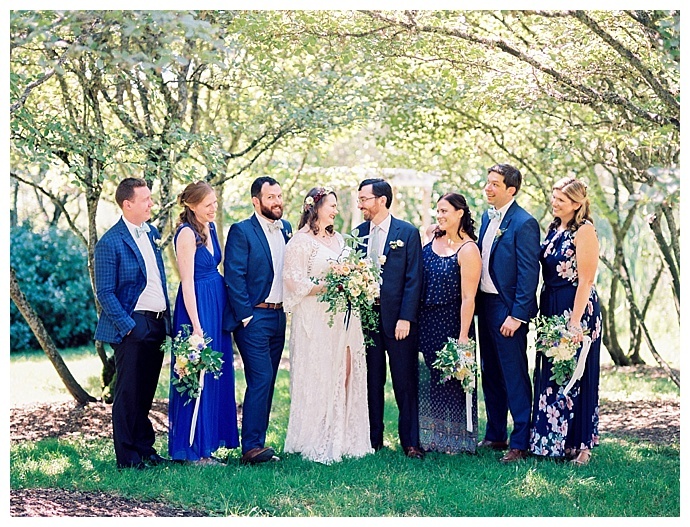 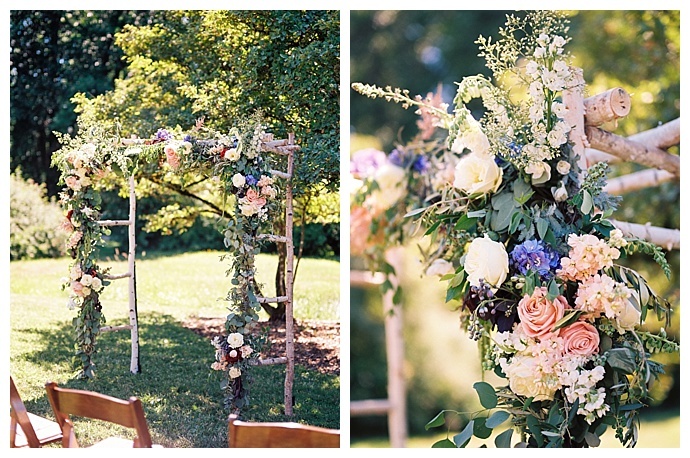 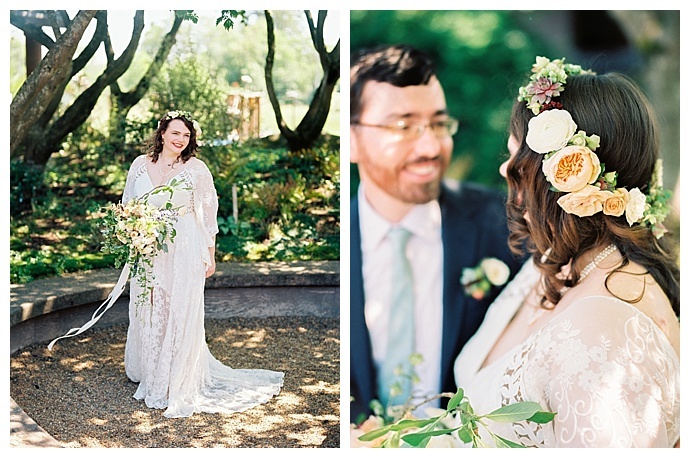 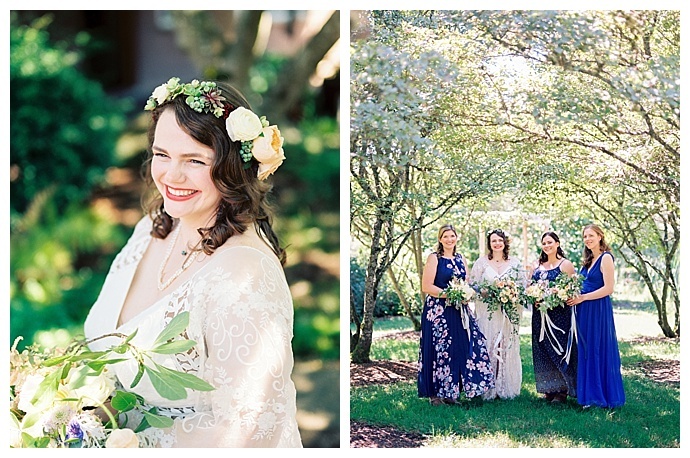 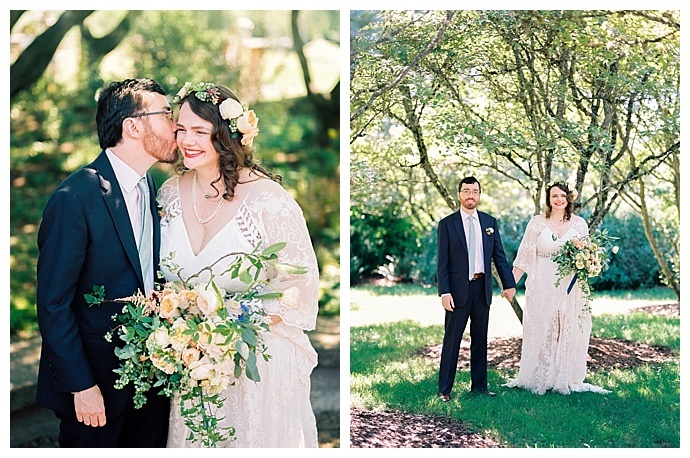 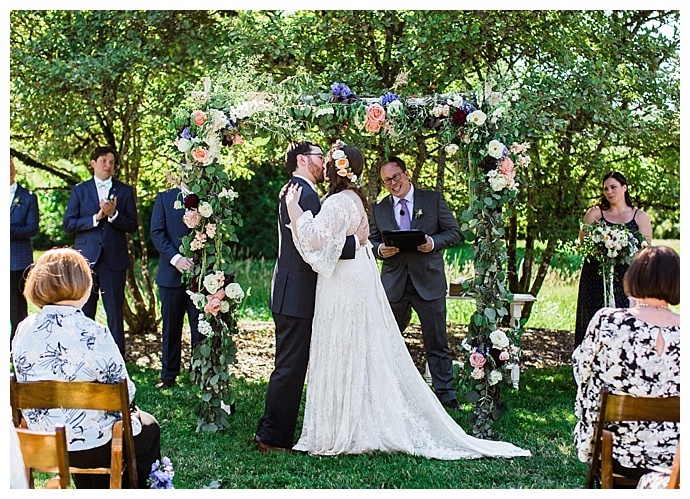 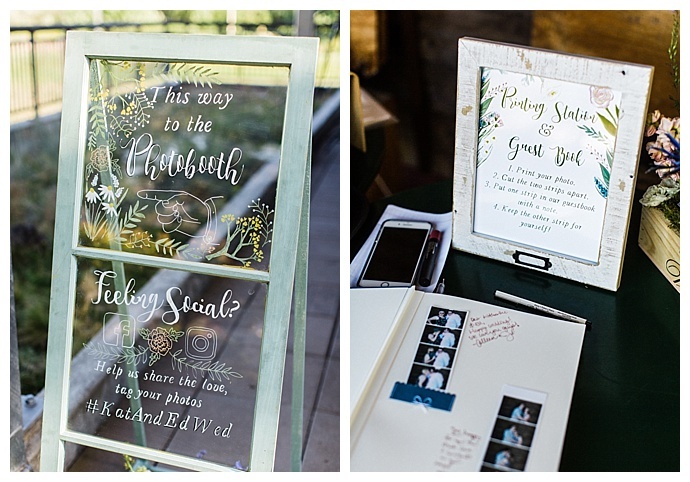 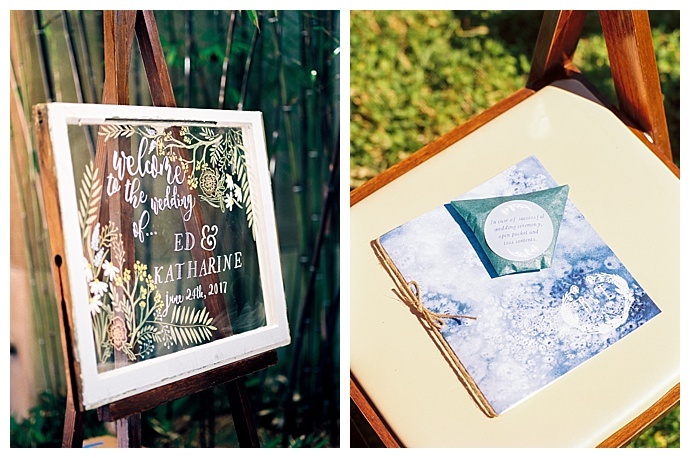 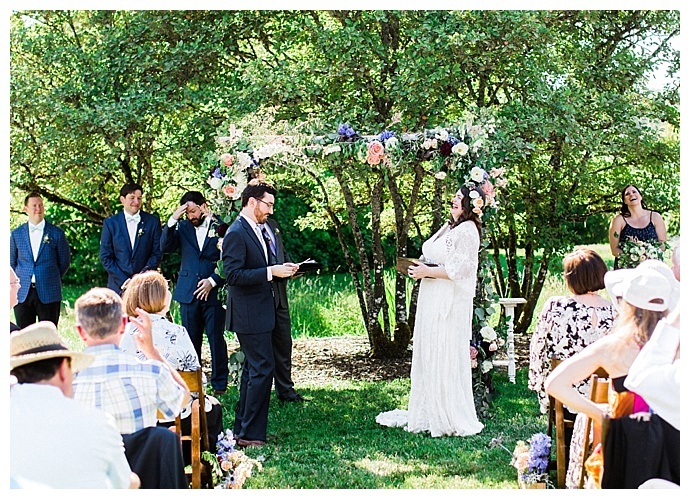 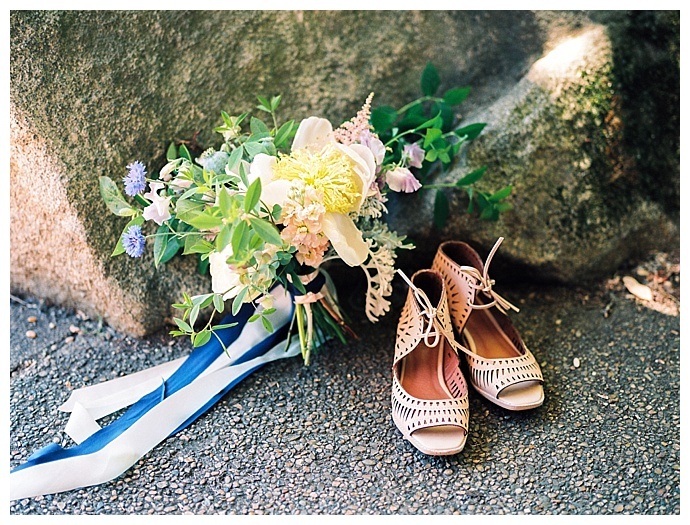 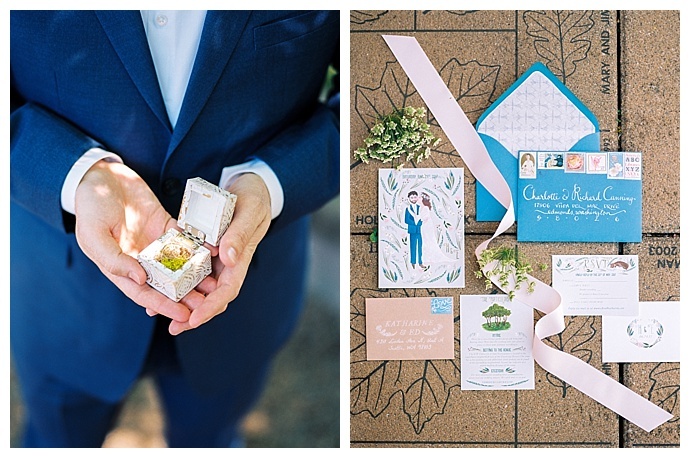 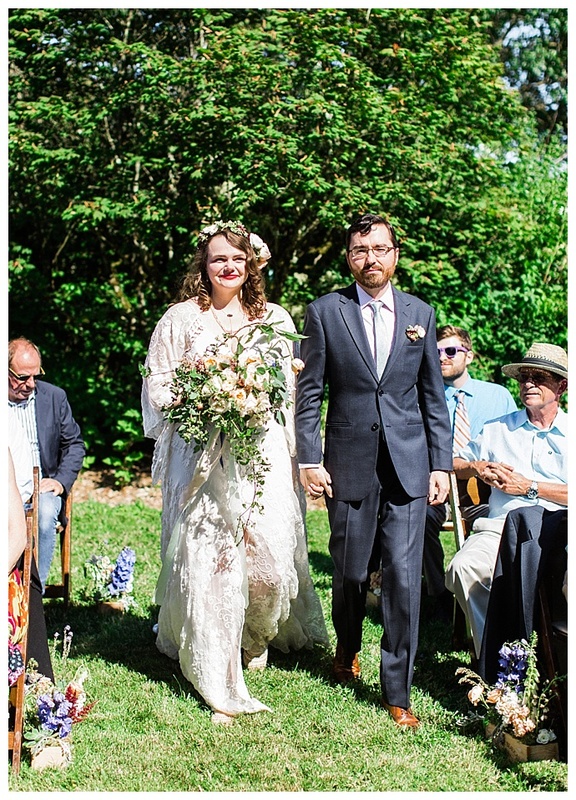 Captured by Alexandra Knight Photography, Ed and Katharine’s DIY wedding at UW Botanic Gardens, Center for Urban Horticulture is filled with beautiful blue hues and pin-worthy handmade details that are sure to make you swoon. 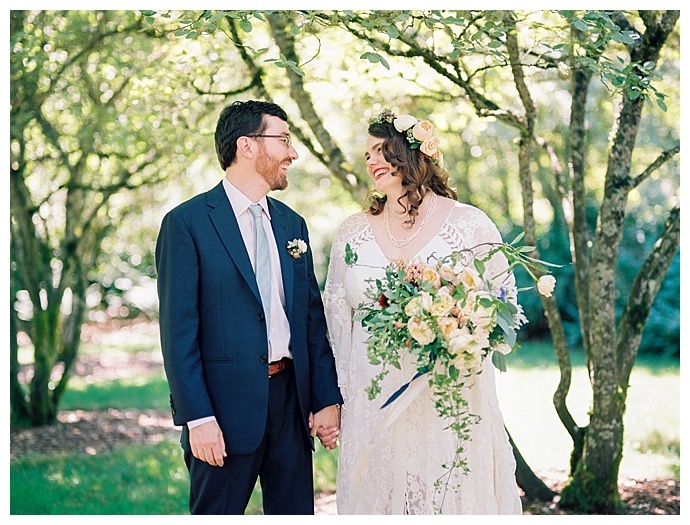 After they connected online, Ed and Katharine met up at a charming local coffee shop in Seattle’s Greenwood neighborhood called Chocolati. 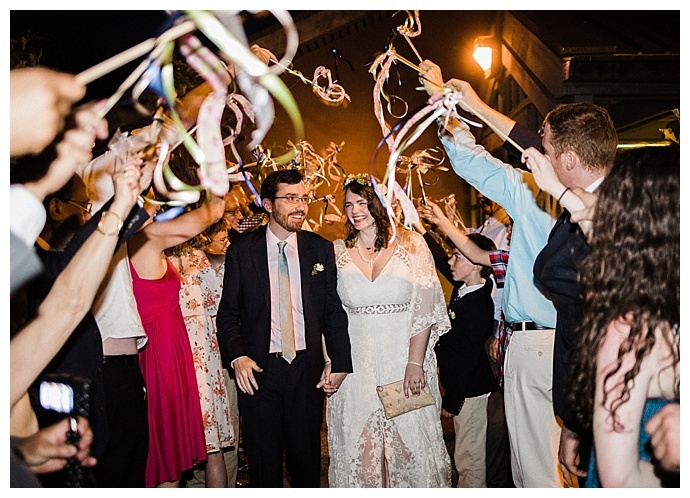 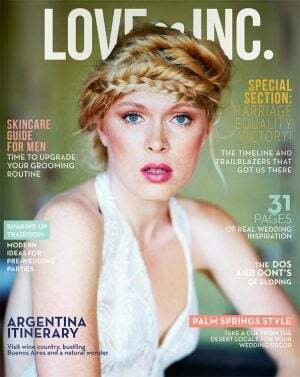 “Almost from that very first date we both knew we had found someone special,” Katharine says. 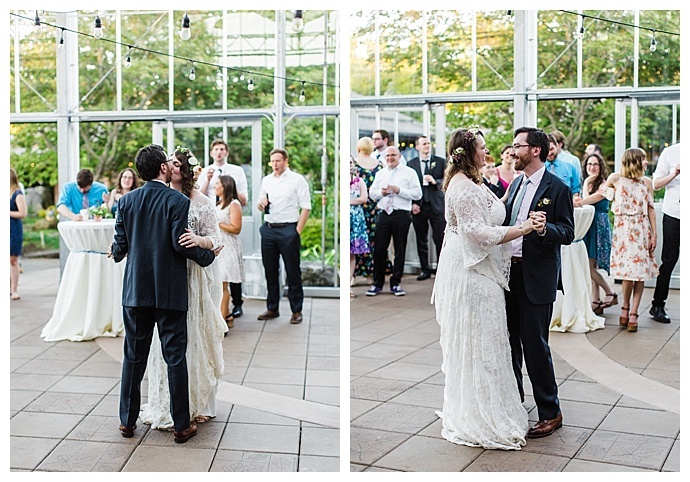 “We hit it off so well that we talked there for several hours and then just kept finding more things to do. 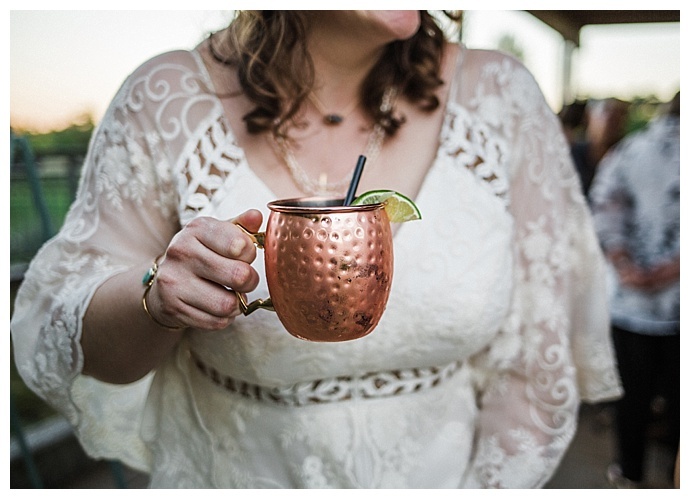 We decided to go grab a bite to eat and then to another place for drinks. 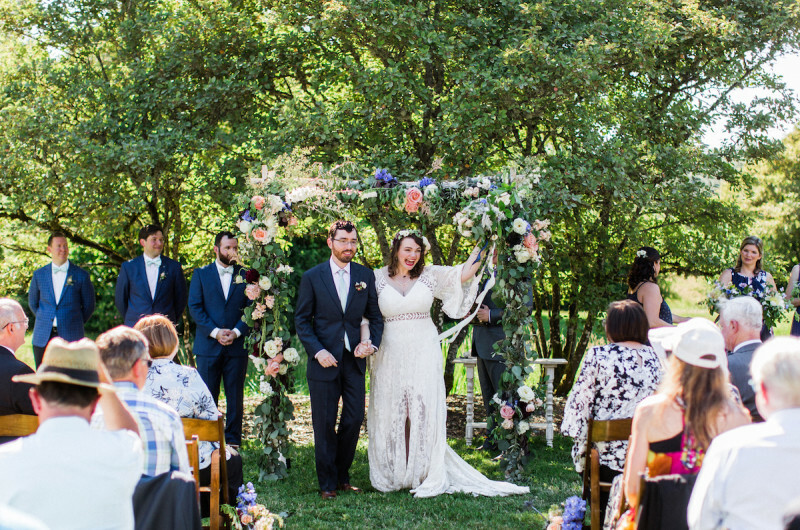 The date started at 6 p.m. and we didn’t say goodbye until 2 a.m.!” That night sparked many more nights of long conversation, and Ed was soon thinking about how to propose. 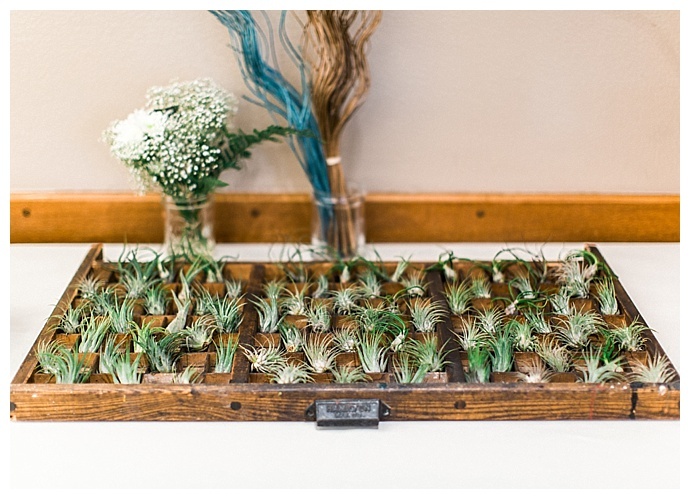 In keeping with their venue, Ed and Katharine integrated a botanical theme into their decor with gorgeous, lush florals and plenty of succulents and air plants. 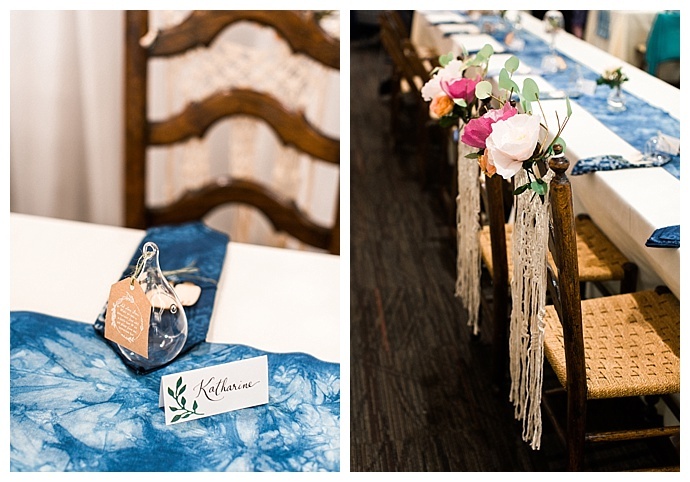 Inspired by the color indigo, Katharine incorporated beautiful shades of blue into the design along with hues of sage and blush. 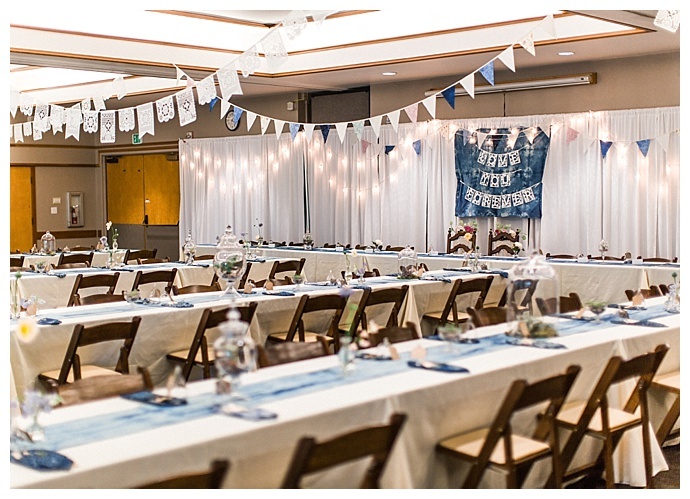 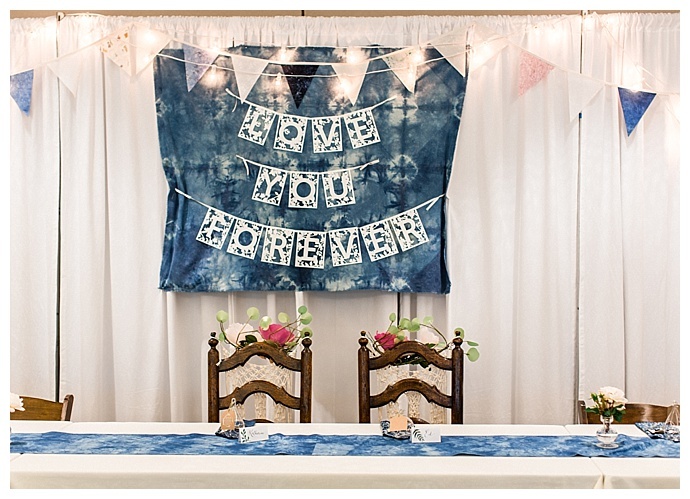 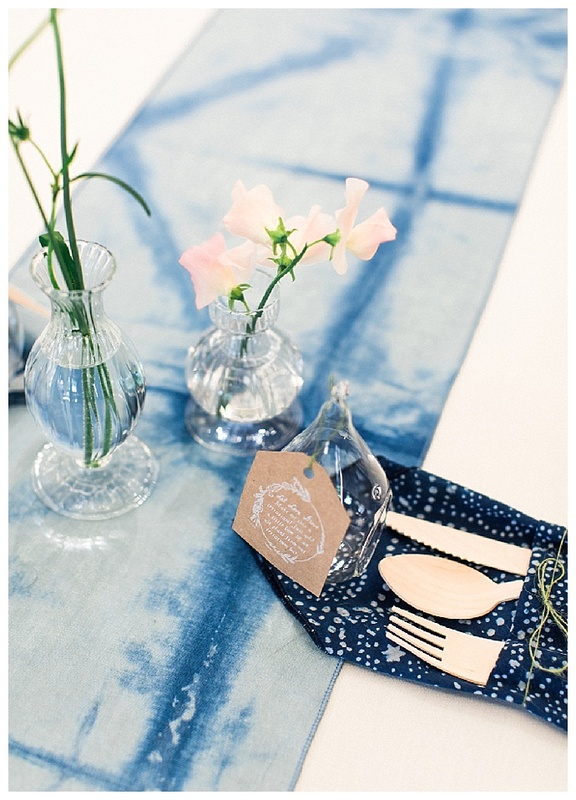 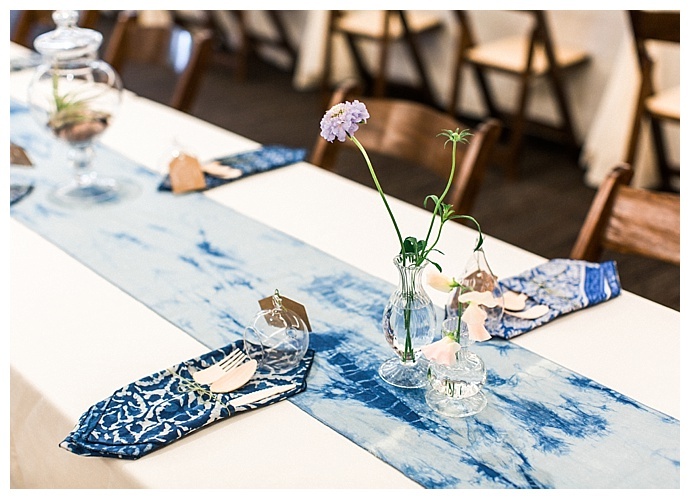 She and Ed DIY’d most of the decor, putting their sewing and dyeing skills to the test to create everything from shibori napkins and table runners to the bunting flag banners that were strung across the room. 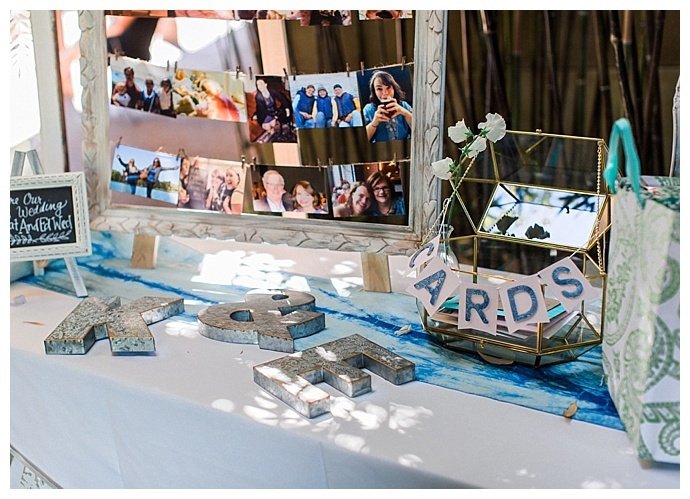 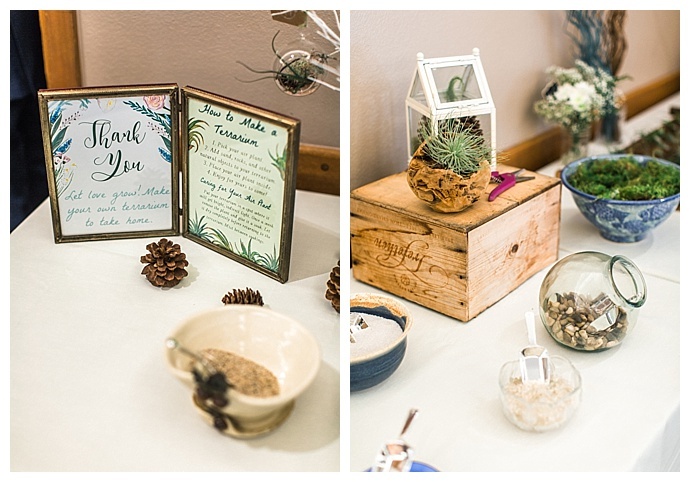 So as a way to thank guests for celebrating their big day, they created a DIY terrarium bar for favors. 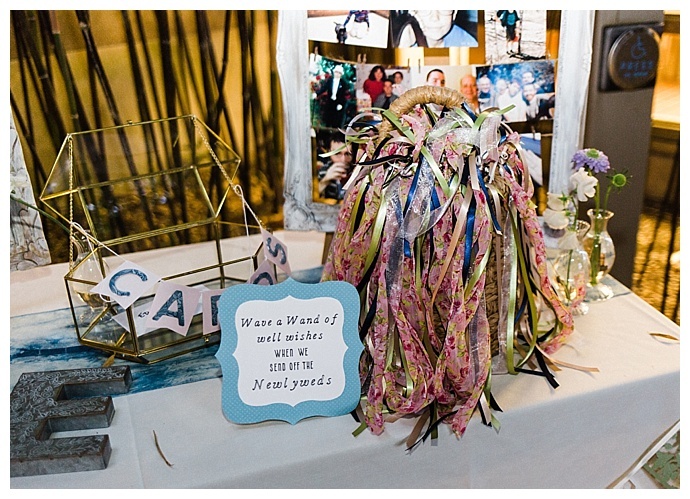 “This turned out to be a huge hit with our guests and it was so fun to see what everyone made,” Katharine says. 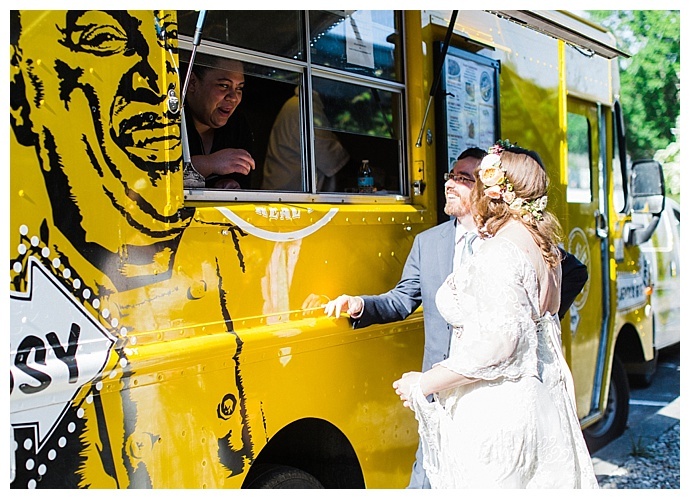 To keep the celebration more festive and less formal, they skipped a caterer and instead brought in a food truck for dinner. 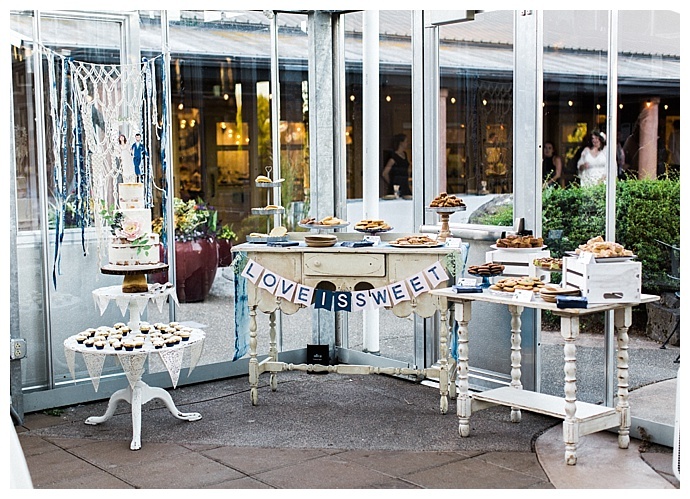 And for dessert, the newlyweds asked their friends and family to contribute treats to add to the dessert table. 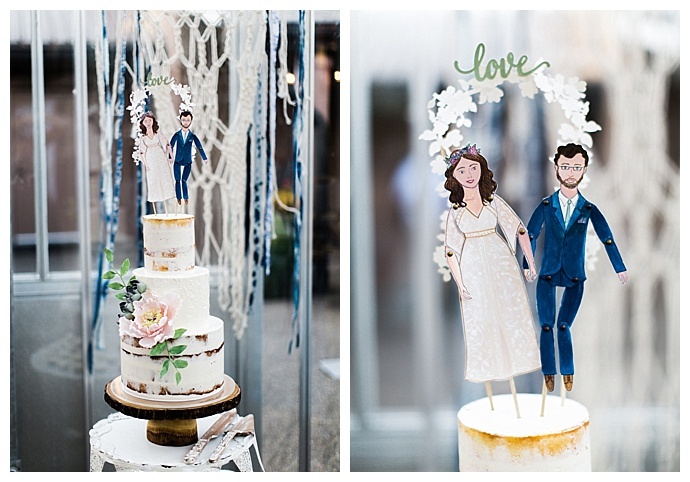 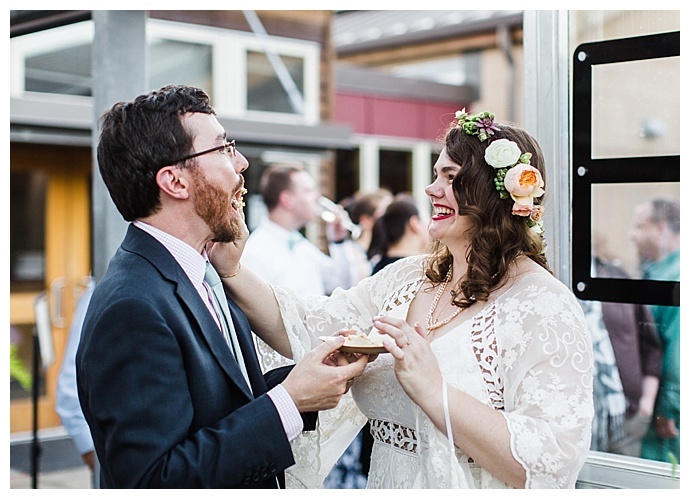 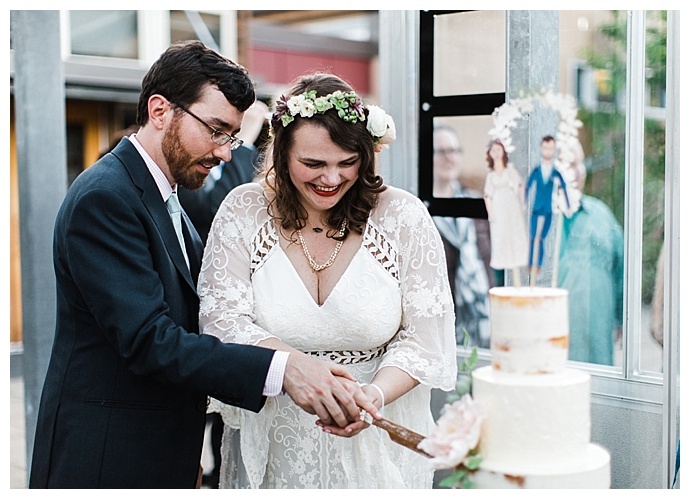 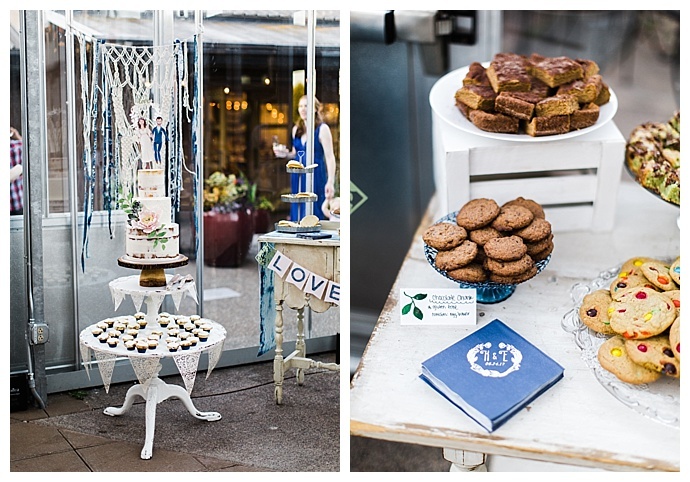 So in addition to a three-tier nearly naked wedding cake, guests enjoyed a variety of sweet, homemade delicacies.